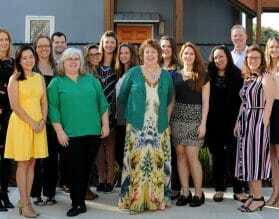 Gwen Kozlowski, General Manager of Exeter International has been recognized as the expert in deluxe travel to Slovenia by Conde Nast Traveler, Travel + Leisure and is a Wendy Perrin Wow Trusted Travel Expert. Let our team plan your trip to Slovenia and make it extraordinary. If a walk through pristine Alpine terrain followed by a delicious meal and excellent wine is your idea of paradise, then Slovenia is your slice of heaven. Undulating mountains, jagged karst formations, and crystal clear rivers, give it an exceptional beauty, which make it perfect for those who embrace nature. A touch of Austro-Hungarian, Venetian and Balkan create a harmonious cultural blend. 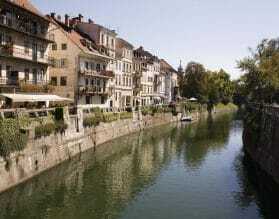 Ljubljana’s laid back elegance gives way to the scenic beauty of Bled’s Julian Alps and lake shores of Bled and Bohinj. Slovenia is a festive place and if you’re there at the right time of year you might find yourself in the midst of the Cow’s Ball or the Festival of the Vine! Slovenia’s karst formations are legendary. Explore the cave at Postojna with its incredibly beautiful stalagmites and stalactites. Delve deep into Slovenia’s Celtic roots with a visit to the castle in Ljubljana. Slovenians are inherently warm, friendly and love showing visitors their country. Embrace the beauty of this alluring country with Exeter International. 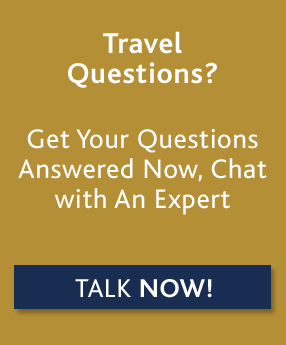 For custom luxury travel and tours to Slovenia, please contact one of our travel experts, or read on below for more information about where to go and when, along with our Insider's Guide. Slovenia is a year round destination if you like to experience snow in the Alps, otherwise, Spring time, early summer and fall are the very best times to visit. 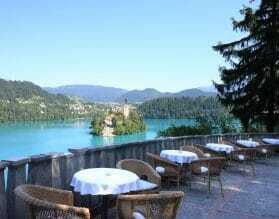 July and August are usually extremely busy with visitors from neighboring countries, and we would recommend avoiding Lake Bled at weekends in general. 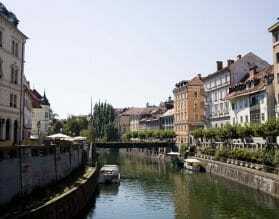 Ljubljana is a delightful city full of Austro-Hungarian architecture and old-world and romantic charm. Enjoy a day meandering through winding lanes and the pedestrianized center, full of cafes and small independent boutiques. Named European Green Capital 2016, this tiny city is surrounded by mountains and green spaces and the perfect start to your discovery of the rest of the country. Just outside Ljubljana are the beautiful Alpine lake towns of Bled and Bohinj at the foot of the Julian Alps. Take a morning boat trip to the church that stands on the island in the middle of Lake Bled or visit Bled Castle which dates back to the eleventh century and is now preserved as a museum. 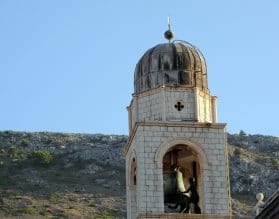 Active travelers should not miss the spectacular hikes in the Triglav National Park and history buffs will surely want to walk the preserved trenches of WWI. 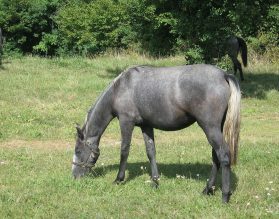 The region just south of Ljubljana, called Dolenjska (meaning the Lowlands) is also worth exploring. Among the top attractions in the country is the Postojna Cave – one of the longest cave systems in Europe and the only cave in the world featuring a tourist train allowing visitors to discover its underground world. The Mocrice castle, a short drive from Ljubljana, is an impressive medieval structure overlooking the gentle slopes of the Gorjanci hills. It was once the home of noble families and a key defense point against the invading Ottomans. You can take a walk under the over 100 year-old sequoias in the park and sample some fine local wines and dishes in the castle’s cellar and restaurant. 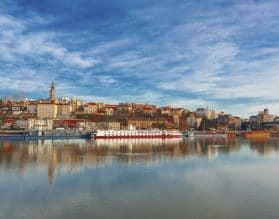 Our team of travel experts can customize a unique program for you for travel in the Czech Republic based on your exact preferences and interests. 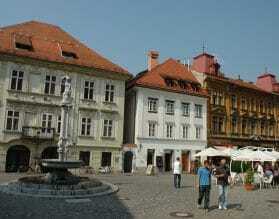 Enjoy a few days in Slovenia pre or post your Adriatic cruise. Slovenia is the perfect destination to relaxation, stroll through the charming street of Ljubljana and take a tour of the Castle. 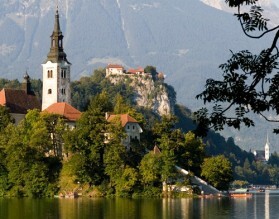 Take a private boat ride on Lake Bled, or enjoy a Slovenian wine tasting. Enjoy the freedom of driving yourself and discovering small towns and villages? Slovenia combines with Croatia to make an ideal self-drive destination. Our self-drive programs allow you to do just that with the help of a pre-programmed GPS delivered to you before you leave home and with the services of our 24 hour local staff. We can craft the perfect self-drive itinerary to fit your taste, pace and budget. Let us introduce you to the essentials of each city and give you suggestions of what to do on your own. Just plug in your Exeter pre-programmed GPS and let your adventure begin! Slovenia combines well with Venice and Istria in Croatia. Road connections between are excellent, or we can arrange for a private car and driver. For the ultimate independence you can choose to self-drive, and we will arrange for you to meet your guides in each destination.